But we also dream of things in our real life and hope these to come true one day. Usually these dreams or wants are on a higher pedestal of life that we are - which generally remain unfulfilled unless we make an endeavour to realize these. When I was a child, I could not read the hands of the watch and wondered why there are number instead of hands for immediate reading and recording time. It was just a childish thought or a dream I never knew would one day become a reality when digital watches came and helped many children like me to read the time instantly. Seeing places has always been my favourite day dreaming. and of all the places, I always wanted to see was Switzerland on top of my 'dream listing.' 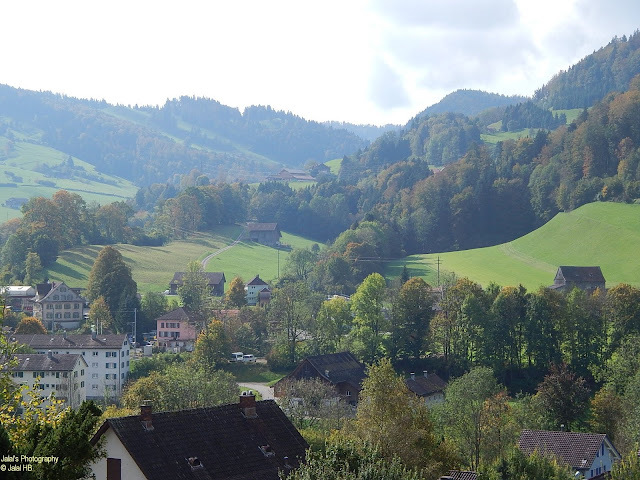 That was decades ago when I read a travelogue in which the writer described how he bought a cup of hot milk and Tobbler chocolate and drank while in the typical Swiss countryside with lush green meadows and mountains and a scented breeze blowing. Reading this I dreamed of being in Switzerland and drinking this heavenly drink.